Technology never ceases to amaze me, even though nowadays when you walk into any electronics store you get an overwhelming amount of options and choices in every area of home and personal entertainment. Everybody has a cell phone these days, a smart phone - a way to communicate with the outside world, keep in touch with family, friends and a new way to do business on the go. If you are someone who likes simplicity but want to have the latest in today's technology, an Android phone could be what you are looking for. TELUS has a variety of smart phones to choose from including the Samsung Galaxy S4 which we have been testing out, a great new addition to our mobile phone family. It's a sleek, sophisticated piece of device that gives other smartphones a run for their money, so to speak. It's a larger phone than what we are used to with a five-inch screen but slimmer and very light weight. It's built tough with Corning's Gorilla Glass 3, capable of withstanding the everyday ups and downs. They say, never judge a book by its cover. In this case, the shell. It has (the world's first ever) Full HD Super AMOLED display, showcasing special moments in stunning resolution. It's got Dual-camera mode with a 13 megapixel rear camera, capture every moment at every angle. Plugging in and getting started couldn't be easier. It's as easy as charge and go with a surprisingly quick charge time, it took about an hour or so to fully charge from 0%. Easily restart or power down this phone by pressing or holding down the button on the top right of the phone. Volume on the top left and the home button, front bottom. You also have the menu and back buttons that light up when you swipe into the phone. If you've used an Android tablet before, the functions can feel quite familiar. You can customize your screen to have it look the way you want with different backgrounds, you can even stream your photos right on the home screen. Navigation is simple swipe and although it took some getting used to, the keyboard is simple to use and learns as you type by saving often used words and such for autocorrect. Handy for quick thumb typers! Being an Android phone, the Samsung Galaxy S4 is great for all things google. There's a G+ app, a google analytics app and of course a blogger app for everything I need - on the go. Best of all, my favourite apps happen to be free apps too! POLARIS Office 5 makes creating documents on the go easy, it even has step by step instructions about the apps features, for us first time users. There are hundreds of other great (free or paid) apps, books and games from Google Play and also from the Samsung hub. Be prepared to spend some time searching your favourites! Connect and share everything from your favourite music, apps, pictures and more without the use of Wifi through Group Play and mirror whats on your phone screen to other devices too. Effortless innovation is built right in to this phone with cool features like SmartPause, Air View, Air Gesture and Optical Reader which detects motion, face and voice to enable screen control without touch! No need for those special "touch screen" gloves this winter! With every great phone, a service is needed and what better mobile phone service provider than TELUS. TELUS offers its customers great service, more value for less commitment. The SharePlus plan is a great choice for families - enabling customers to share data on one plan across multiple devices. SharePlus plans feature unlimited nationwide talk and text, talk to family and friends across the country without having to worry about the long distance bill. Best of all, smart phone and tablets can be added on without extra data plans. Just like the name suggests, simply share the data! The more devices a family adds, the more savings and more time spent enjoying the good stuff. First time customer and smart phone owner? No problem, visit one of the 200 TELUS Learning Centers in store for a learning session all about your new device and services! You can book your 15-20 minute complimentary one-on-one or group session at your local Telus location or if you can't make it out you can also check it out online! Worried about your kids online? 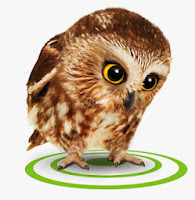 Check out TELUS WISE, a free program to help Canadians develop safer online habits and TELUS WISE Footprint for children and youth aged 8 to 18! Just one more thing TELUS is doing to make our world a better place. Learn more about TELUS services and smartphones by visiting your local store or online at www.telus.com! Posted on behalf of TELUS. Product was received for review purposes. Opinions and comments on this blog are honest and my own. I'm in desperate need of a new phone. I'm an Apple girl but I am considering the Galaxy4 or Note3. Thank you for the review. Thanks for the informative review. I am looking for a phone for my daughter - this info will come in handy! I'm an iPhone user, but I love Samsung's products. I have a Samsung 2 lite. Its great. my DH says that Samsungs are the best product out there! I have no complaints! It works really well for me!